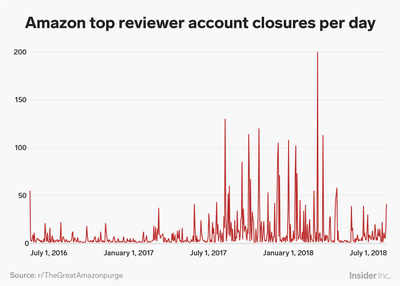 Getty/Mark MakelaData shows that Amazon has increased its frequency of account closures this year. 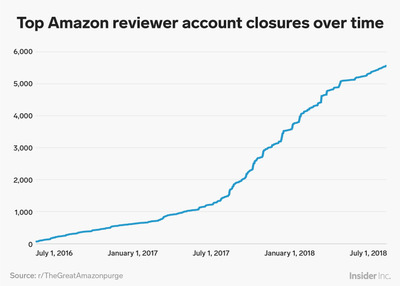 Members of the subreddit r/TheGreatAmazonPurge have tracked the removal of some of Amazon’s top reviewers. A bot connected to the subreddit tracks the Amazon-published list of the top 10,000 reviewers and adds accounts to a list when it notices an account and all reviews associated with it have been deleted. 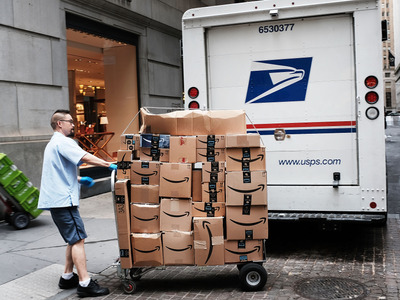 The e-commerce giant’s efforts to curb abuse of its reviews system came under scrutiny earlier this year when a large number of Amazon customers found their accounts deleted for what the company said was a violation of its terms of service. 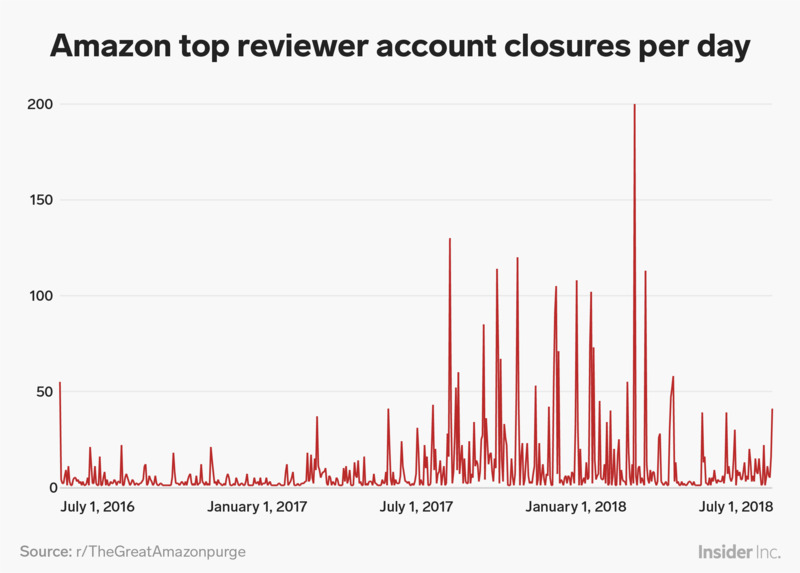 The data offers a rare glimpse at Amazon’s pattern of banning top accounts. 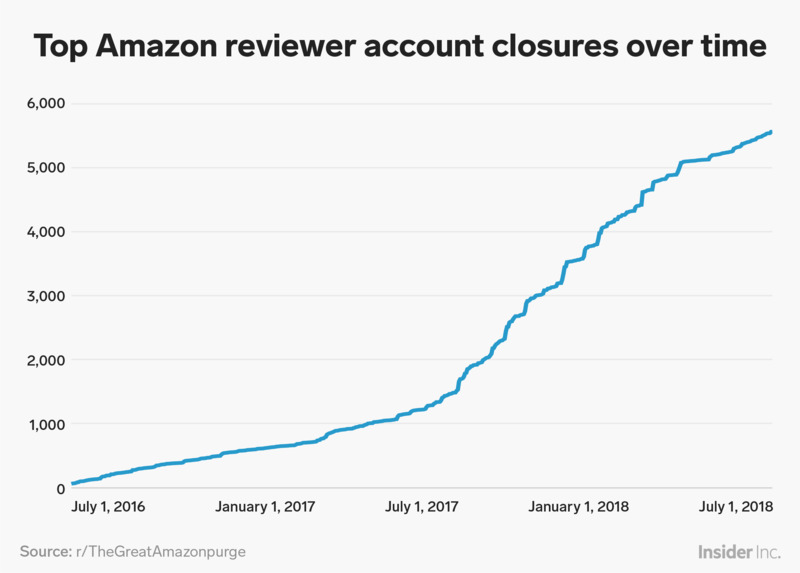 The group runs a script – or bot – that scans the Amazon-published list of the top 10,000 reviewers and adds accounts to a list when it notices an account and all reviews associated with it have been deleted. The process is run manually every day. 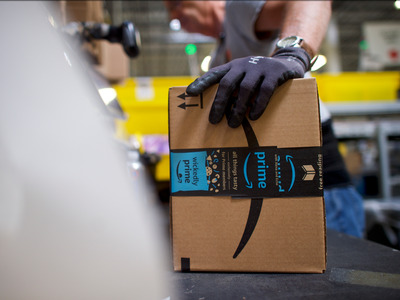 Many who were banned from Amazon claimed they didn’t know what was going on, and that they didn’t knowingly violate any rules. The email Amazon sends to inform account holders that they have been banned is boilerplate, leaving some to wonder what they did wrong. Amazon changed its terms of service in 2016 – around when the bot was created – to ban this kind of behaviour, but it still persists. “We know that millions of customers make informed buying decisions everyday using customer reviews,” an Amazon spokesperson said. “It’s a virtuous cycle – the more reviews, the more buys. The more buys, the more reviews. The more buys, the higher your rank in search and the more sales you get,” Alice Kim, owner of online cosmetics brand Elizabeth Mott, told USA Today in March 2017. Reviews give customers more confidence to purchase online, but the system doesn’t work if customers don’t trust them. 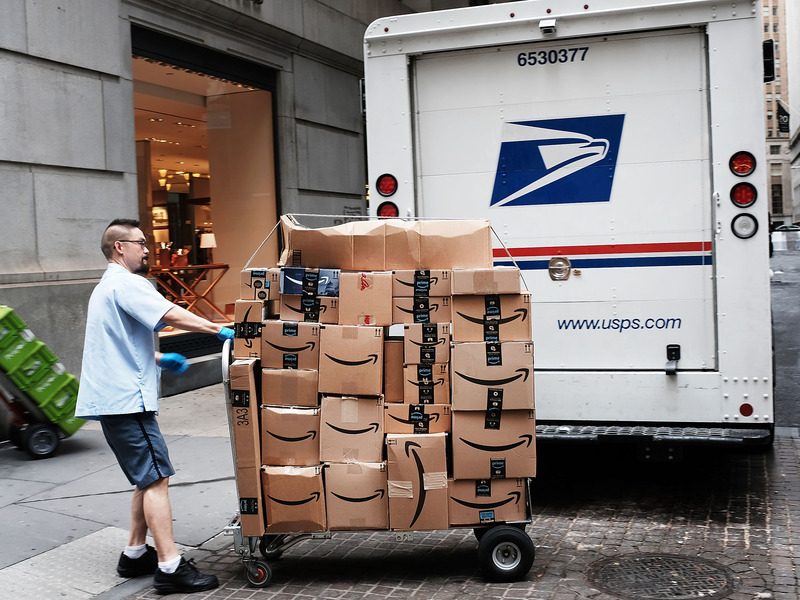 “We give more weight to newer, more helpful reviews, apply strict criteria to qualify for the Amazon verified purchase badge, and enforce a dollar amount requirement to participate in our community,” Amazon’s statement continued.